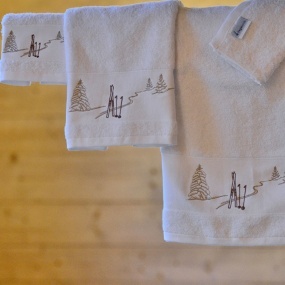 Embroidered with fir trees, ski and a beautiful trace of ski on a white background, the Trace ski, mountain deco towel will give a chic spirit to your interior in a chalet and cozy atmosphere. This pair of ski with poles are waiting for you to hit the snowy slopes! 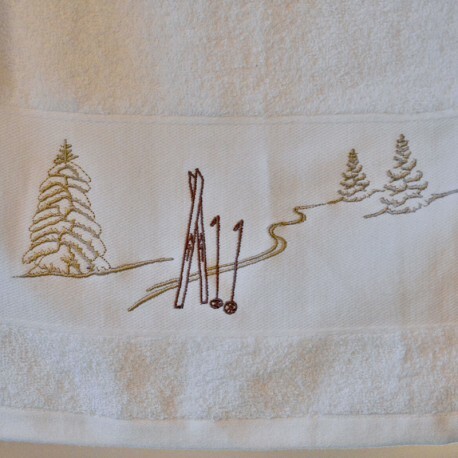 This bath towel is perfect to make you and your guests happy.